Taking items from our essential list we have curated the most versatile and wide spread look for the corporate jungle. A well fitted, bespoke suit starts our list off for a busy day of goal setting. P.s. 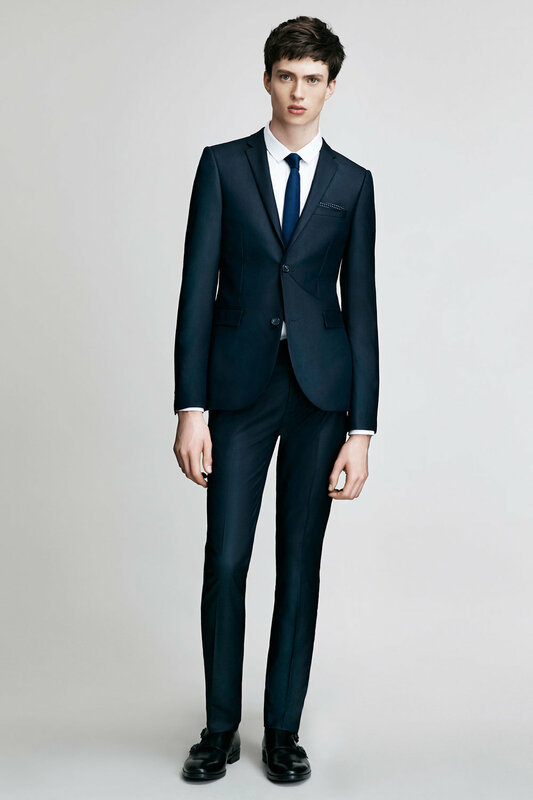 the navy suit is the most versatile of the suits, appropriate for the office, weddings, parties, and when traveling. Fresh and crisp, the white dress shirt can be dressed down or worn at more formal occasions. With a minimal print or pattern, a simplistic tie matches well with any array of suit combinations and textures. Accessories are often just as important as the outfit. Make sure to include a minimalist bag, black dress shoes, and a basic pocket square/cufflinks. Just as ubiquitous as the white shirt in the office, the blue shirt serves as the subtle alternative and bloom of colour in a man's wardrobe. A simple, patterned tie, and clean watch go best with this bold of outfit. Include the office bag for a complete look. 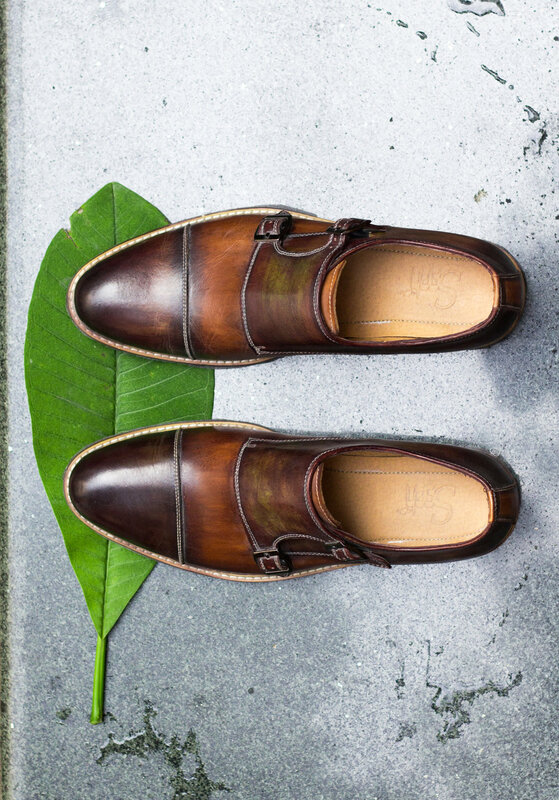 The monkstrap is a classical shoe, more formal than a derby but less formal than a full oxford. Sartorial boldness, modernity, and fashion forwardness. An understanding of the basics goes a long way in making a unique office look. 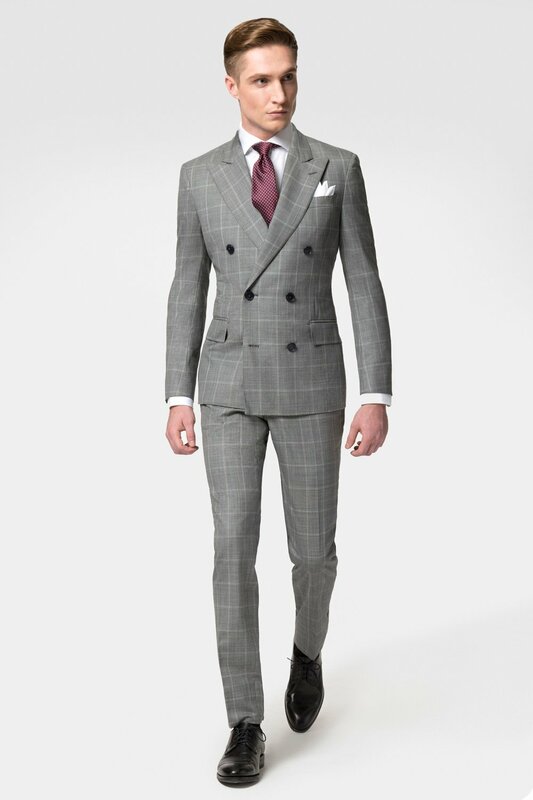 Watch for details and layers in this windowpane charcoal bespoke suit combo. We use wardrobe essentials as accents to dress up this daily look. Fridays, the casual day when the office and your most casual work clothes help you close out the night, beginning the weekend right. Use the navy suit jacket as a blazer and simplify into a toned down, weekend look. The loafer and ergnomical wallet are easy additions to this toned down ensemble. Add the essential white shirt and a utiltaian bag and your weekend ready. The perfect combination of mobility, professionalism, and relaxed style.